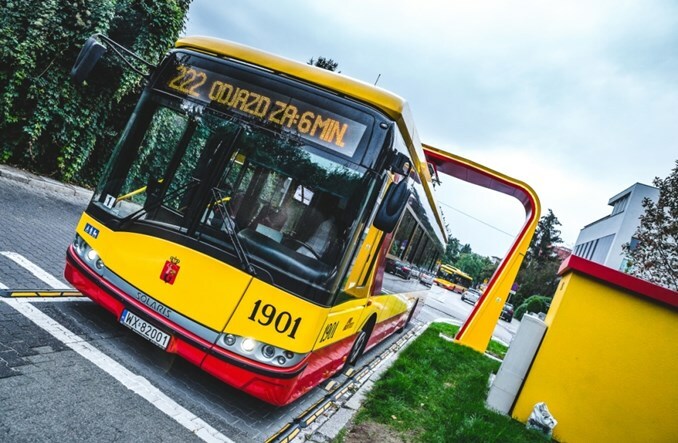 In what's claimed to be the world's largest order of electric buses, Warsaw City Bus Corporation has just ordered 130 Solaris Urbino electric buses for ~£80m. The city currently has 30 electric buses, 20 made by Solaris and 10 by Urbino. Solaris was the only bidder for the new tender. The new buses are low floor throughout and I think they'll be articulated, holding slightly less than 135 passengers (the desired maximum), with four doors. There will be 20 overhead charging points distributed around the city as part of a separate tender (photo below). Electric power is the way forward, not for every bus operator and not under all conditions, but greater use of electricity is to be encouraged. No pollution at the point of use, and less pollution overall presuming that a reasonable proportion of the electricity is from renewables. Did I read that right? Over £600,000 for a bus? How much is a comparable diesel vehicle? That's right. Price is inclusive of taxes. As to a diesel bus, I've no idea. Easier in big cities, presumably. I'm quite impressed that 20 charging points will be enough for 130 vehicles. As to the second point, unfortunately most electricity in Poland is still from burning coal. I understand Bristol's Biogas buses weigh in at about £300,000, if that helps..! I suspect that the 20 charging points might be for fairly brief top-up charges during the day, possibly at bus stops, with extra charging at night in the depot or garage. The large scale burning of coal is most regrettable, but hopefully this will change during the life of the vehicles. I googled "How much does a bus cost?" and after the bus tickets, the first return was from... Rail Forums UK! I don't know how accurate these figures are but they suggest articulated buses, which these will be, can be much more expensive than rigids. Optare Versas, based on the recent acquisition by my #1 least favourite company, are £150,000 for a mid-rage specification. On that basis I would suggest that the integral decker under development by the same company would probably cost £225K (50% more). Artics, as with coaches, can be anything up to £400K each. As great as I think it is that these types of vehicles are becoming the norm, I will never understand why overhead and trolleybuses aren't ever considered anymore, particularly in Britain. Times have changed with that technology too since the early 1970's when they last ran. The vehicles don't cost that much and tend to last longer than diesel buses, plus if routes are running established corridors, why not have a permanent feed. 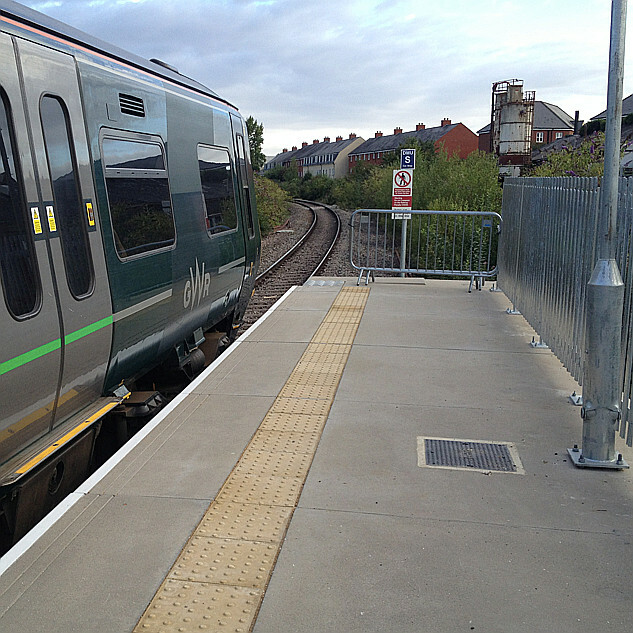 The permanent infrastructure makes the psychological difference to the user much like a tramway, the vehicles obvious different look makes changing ticketing to off vehicle much easier, plus vehicles can be equipped with short range batteries for emergency diversions. The versatility of infrastructure free vehicles isn't always a plus point when it comes to establishing transport. In what's claimed to be the world's largest order of electric buses, Warsaw City Bus Corporation has just ordered 130 Solaris Urbino electric buses for ~£80m. 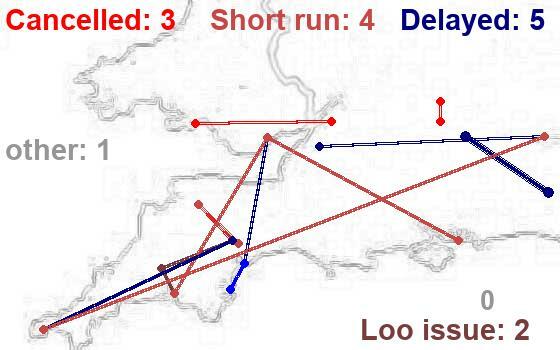 Here's a challenge for transport historians with more time than I have tonight. My immediate thought was - is that true? During the relatively brief heyday of the trolley bus could this number be exceeded? I have had a quick google/wikipedia search revealing that London had 1811 as its maximum fleet, and a total of 1891 in all, between 1931 and 1962, implying it built up a large single generation fleet and then ran it down. It seems likely that there would have been an order for more than 130 in that lot. Anyone out there with the time or deeper knowledge beat Warsaw's claim? Currently, there are around 300 electric passenger buses operating in the U.S., according to Reuters. The average cost for a big electric bus is around $750,000, a bit more than the $435,000 average cost for diesel. Running costs, though, are much lower for e-buses. Antelope Valley Transit Authority in Los Angeles County told TechCrunch that it saves an average of $46,000 per bus per year for electric versus diesel. Unfortunately many bus routes in our towns and cities need to go through these areas of congestion. In the U.K we think rather differently to what public transport is for compared to elsewhere. There is an enormous amount of attention to interurban transport and how people from other communities around cities access them but not much attention paid to how people move around within them. The local bus (or trolleybus, tram or anything else) must go to areas with congestion because it's normally these areas where large populations live or where the traffic generating points, such as hospitals, are. The Eastern 'MRT' project Reading Council recently proposed would have moved several bus routes away from the Newtown and Cemetery Junction area which is a huge bottleneck for road traffic but also a large generator of passenger traffic for public transport in both directions. Moving the public transport away from the area to avoid the congestion seems rather backward when it is that very congestion we are trying to remove. Moving the regular traffic to the new proposed route in Reading would have been the better option for public transport. Back in the 1960's and 70's when new major road building towards urban centres occurred, such as the M32 into Bristol, this would have been of benefit to public transport on the previous main corridor the traffic used. The cars from elsewhere used the new road while buses continued running along the original corridor serving the communities along it free from the main flow. Now I am not suggesting that building new urban motorways is what we should be doing, but public transport bypassing inner areas is not the way forward. Sorting the area of congestion with public transport is what's needed. Persuading people onto public transport is difficult, especially when it remains a regular bus. The biggest barriers against people using the bus I can see, after 18 years of driving them, is the speed the vehicles travel. One point to this is other road traffic of course, however the other factors slowing the vehicles are largely ignored. The driver having to see every individual onto the bus is the first major factor. If there was a major change by operators in how they collect and protect their revenue which led to people stepping on and off the bus in the same way they would use a train (or tram) then this would make a huge difference to the speed of the vehicle. Pay as you enter vehicles have to wait for the individual to prepare themselves. The next factor is the amount of stops. Here is where local councils can get involved since they normally decide on the locations of these. Many stops in my town are in out of date locations that are difficult for buses to use and more awkward stops have been added between the originals over time in a vague attempt to promote public transport in the post deregulation era. A minimum stop distance in urban areas is what is needed to speed up bus services so that vehicles make better progress. Getting more people onto public transport is supposed to lead to less road traffic so bus only lanes can be justified in heavy congestion areas. These would be even more acceptable by many people if some sort of permanent infrastructure is present. The infrastructure presents a commitment to reliable public transport. It builds an established corridor to draw people towards and trolleybuses are the cheapest way of doing this. I think that what they meant was the largest order for battery powered buses, I presume that larger orders for trolley buses were placed back in the day.